Psychology Religion Spirituality - How are they the same, how different? Psychology religion spirituality have intertwined over the centuries, perhaps even more so in recent decades with the wealth of popular psychology books available. When I first became seriously ill I knew I needed to reach out and learn from the wisdom of others. I read psychological self help books. I received some counselling. Later, my emphasis switched from psychology to spirituality. Eventually, my journey led me to make my peace with religion and reconcile with the Christianity of my youth. 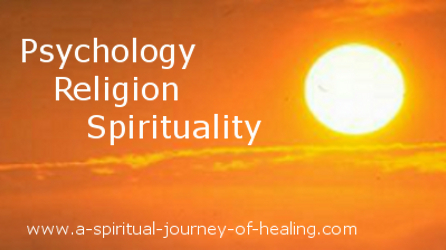 In this article on psychology religion spirituality, I consider the ways in which, in a time of chronic illness, I ultimately found the foundational ideas behind spirituality to be more workable than those of psychological self help. If we are following practices from all three approaches: psychology religion spirituality, in the places where they differ, we may experience self conflict and confusion. Are we deserving or entitled? 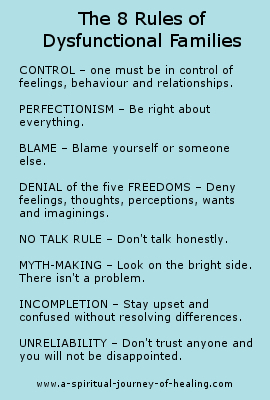 Psychology definition: the science that deals with our mental and emotional processes along with our behaviour. Those of us who read psychological self help books or seek therapy normally do so to gain a better understanding of ourselves. We are in search of a psychological technique or insight to assist us to live within the world in a way which makes us happy and leads to a more fulfilling life. As for psychology, the motivation for pursuing the spiritual journey may also be to live within the world in a way which feels happier and more fulfilling. Yet paradoxically the spiritual path leads us in many ways to let go of attachment to the appearance of our world. As for psychology, as a result of following a spiritual path we may also experience the benefit of feeling more comfortable in our relationship with ourself. The distinction is that any increase in comfort comes as a by-product of feeling more comfortable in our relationship with Source, with God. We learn to receive the love that is available to us. Just as we might pursue psychology to improve our resilence to the difficulties of life, so we might feel the same benefit from pursuing spirituality. 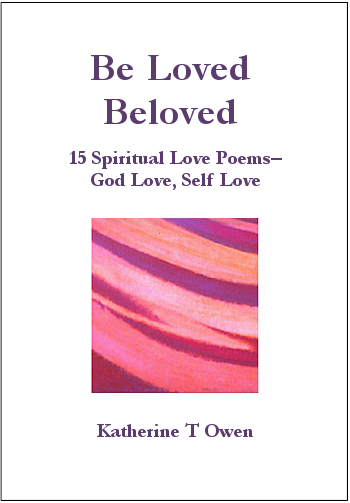 Knowing ourselves as loved by God improves our resilence. Trust in God improves our resilience. Lack of attachment to our world looking a certain way improves our resilience. how to be more resilient to the difficulties of life. Psychology aims to achieve these outcomes. Spirituality potentially achieves these outcomes as a by-product of a relationship with Source or God. What about the benefits of religion? Ideally religion provides community, belief systems, rituals etc which serve to help someone in their commitment to spiritul practice. In so far as it succeeds in assisting people's spiritual practice, the benefits of religion overlap with those of spirituality. However, looking at the four objectives above, in my experience the particular strength of religion is that it helps to increase resilience to the difficulties of life. Go here for definitions of religion along with additional definitions of spirituality - these are definitions which don't overlap with the definition of psychology. Any psychological approach is likely to look at how someone's belief system, value system and behaviour work for the person and how they can work better. Since someone's spirituality and religion necessarily impact on both their beliefs and values, a person’s spirituality and religion are relevant to any psychological approach. The psychiatrist, M Scott Peck– author of the wonderful psychology book, The Road Less Travelled– named 4 Stages of Faith to help identify where all of us are on this journey of faith. He stressed the need for the psychological approach to work with someone’s belief system in order to assist them in self growth and change. More and more, the psychological approach is recognising the role that a person's spirituality and religion play in any therapy. What do they say about Inner voices? Psychology religion spirituality– all acknowledge the presence within us of self conflicting inner voices. Approaches from each area can help us to quieten the chattering mind. The spiritual journey is one in which we aim to let God speak to us and guide us. With regard to inner voices, religion (and/or spirituality) may use the language of learning to listen to ‘the voice for God’ or the still small voice as opposed to ‘the voice of the devil’ or the voice of the ego. We can be assisted in the spiritual goal of hearing God's voice by the use of psychological self help techniques to identify the ways in which our inner voices, our preconceptions and our allegiance to outdated rules, block our access to such wisdom. The psychological approach may use the language of getting in touch with ‘our authentic self’ or with ‘the voice of our conscience’. Many psychology techniques help us to acknowledge and examine inner voices that may not be acting in our highest interest. For example, Transactional Analysis helps us identify the voices of Child and Parent and make the switch to an Adult voice based on a current up to date view of our world and our choices. Cognitive Behavioural Therapy (CBT) and the meta model in Neurolinguistic Programming (NLP) help us to look at and challenge our assumptions so as to let go of psychological patterns of thought and behaviour that no longer work for us. NLP Parts therapy considers different parts of us that pull in different directions - one towards our goal and one away from it - and finds a common motivation to unite the two and enable progression towards a goal. Freud, within psychotherapy, considered the psyche to be structured as three parts- the ego, the id and the super-ego. As well as looking to replace unhelpful inner voices, psychology religion spirituality – all include practices to quieten the mind – to allow ourselves a break from (or a gentle acceptance of) such voices. Ten years ago meditation was largely dismissed by the medical establishment. It was viewed as being in the category of spirituality rather than that of science based research. Since then medical research has shown the health benefits of meditation. For example, healthy structural changes in the brain can be measured in those who meditate. In addition to having been a spiritual technique used within most or all of the major religions down the millenia, meditation is now used widely as a psychological technique under the name of mindfulness. Meditation was recommended to me early on in my journey with the illness ME by Dr William Weir. We explore spirituality best from a life that contains some order and stability. Psychology self help can assist our spirituality by helping us to find the stability we need in the world. The psychiatrist M Scott Peck acknowledged our psychological need for stability in his writing about the 4 Stages of Faith. The first of the Stages of Faith is Chaos– generally life will not be working well for us during times when we are in chaos. During the second of the Stages of Faith– Religious/Institutional – we adopt various beliefs and practices (not necessarily religious) to help us find order in the chaos. Such stability is necessary to progress to further stages of faith which may see us take a more flexible approach to life. Psychology and religion can help us both to find stability and to find happiness within this stability. In contrast, I believe that spirituality opens us up to hearing the still small voice. Such promptings can lead us along unpredictable and unexpected paths. Whilst religion and psychology tend to offer us more order and stability, ultimately spirituality gives the message that there is no stability in the world. God’s love is the only certainty– the rock on which we can build our lives. Whilst most or all religions will work with the belief system that our stability is found in God, in practice religion often helps to provide the stability we need. It is likely to offer a community which gives a sense of belonging and provides for a person’s needs when they are less able to care for themselves. The possible pitfall of religion is that by maintaining stability through community and ritual it can sometimes resist change and stifle the true spiritual growth it was developed to support. Psychology and religion often aim to give you the support to help you feel OK about your life right now. I don't think it was possible, in any sustained way, to feel OK about the life I once had– one in which I was severely disabled with inadequate care. Yes, I had wonderful moments of sinking into the reality of Oneness - of being part of something so much bigger that could not even be ill. But this is not the "feeling OK" to which psychology may aspire. Finding myself unable to manipulate my environment or myself to find happiness, spirituality helped me to reach out for the peace that passes understanding – a peace available regardless of the circumstances. Psychology and religion have at times encouraged me to lower my expectations so that they are realistic, with the aim of living happily with the life I have. Spirituality gave me permission to say – This life does not match up with the God I know – the God of abundance and love. I am willing to give God access to my mind to change my thoughts. Whether through access to God’s peace or through a change of circumstances, I can have a bigger, better life than this. and for a set of 8 useful PERMISSIONS! Psychological self help can help you to raise your self worth. Many psychology self help books will tell you you deserve love, you deserve financial security etc. Psychological self help may counsel you how to set boundaries and how to get people to treat you well. This approach of insisting on your self worth can work well whilst you are managing to conform to your idea of what it takes to be deserving. But when you are living with illness (just as if you are living with other severe challenges), you may no longer be able to behave in a way that helps you to feel OK about yourself. Spirituality and religion tend to place less emphasis on self worth than the psychological approach. You as a body, as a human, don't deserve anything. This body is not who you are. It is only here for a little while (or an illusion – not really here at all). But guess what? You are entitled to EVERYTHING. Not through your own efforts, but just because God is everything and you are a part of God. For example, the Bible says we are joint heirs with Jesus. In this world, an inheritance is the closest we can get to understanding that we don't have to work for something. We receive, not because of what we do or what we deserve, but because of the family we are from and because of the abundance of the person who left the Will. Who you are is a child of God. God’s Will is that you receive His Love. You don't need to deserve God’s Love to receive it. God’s love is not a reflection of your character or ability. God’s love for you is a reflection of God’s character and ability. When we receive God’s love, self worth follows as a natural consequence. Spirituality and religion both place less emphasis than psychology on the importance of being treated well and being seen to be treated well. Consider that Christians and Muslims revere Jesus despite the fact that he experienced profoundly difficult treatment from others to the point where he was hung on a cross. Where the psychological approach may encourage us to build up a healthy ego, spiritual practice often encourages us to let the ego go, and identify with the eternal Self which is not the body. Nonetheless, by improving our relationship with self, psychological self help also potentially make us more resilient to changing levels of approval or treatment by others. Religion can offer an additional way of feeling peace during the experience of bad treatment. It places emphasis on an after life which is eternal and within which your sufferings will be forgotton. It can also be seen as a great service to offer your sufferings to God. Although I continue to draw on psychology religion and spirituality in my approach to life, my emphasis is on spiritual practice. The need for my sense of self worth to be rooted in something other than this world became apparent to me in a time when so many of the normal joys of life were not available to me and I was too ill to be seen as useful by the world. No matter how good our circumstances or how much we are able to physically contribute, it remains true that it is never certain that such a situation will continue. It is in my relationship with God, Source, that I have found a happiness, a more fulfilling life, a far richer relationship with self and greater resilience to the difficulties of life. Psychological self help and religion are important in that they assist me in this spiritual commitment. 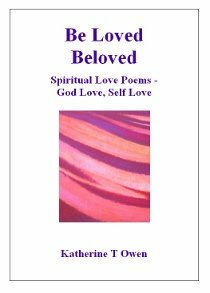 John Bradshaw is an author who has been important on my journey of self growth. His books are in the category of psychological self help (including Family Systems Roles). However, he combines discussion on psychology religion spirituality in his writing. His journey has included the need to set himself free from some unhelpful religious beliefs received early in life. I am a student of A Course In Miracles - a spiritual book which incorporates both psychological and spiritual guidance. It is not a religion. Move from Psychology Religion Spirituality to read (on my other website) about some books on mind body research. Many are likely to contain both psychological and spiritual insight. Read my tips on practical psychology you can apply to your life. For me it was a journey with illness which motivated me to find better coping strategies. For you it might be a different challenge or just the desire for greater well-being.